If your intended stay in Estonia is up to 90 days from the date of first entry in the territory of the Schengen countries, you have to apply for a C-type visa (also called “Schengen visa” or a “short-stay visa”). A Schengen visa entitles you to travel to the 22 EU member states which are members of the Schengen area, as well as four non-EU countries (Norway, Switzerland, Iceland and Lichtenstein). The process of applying for the visa depends on the country of your passport and your residency, as explained below. The visa decision process will take about 15 working days. You should apply a minimum of 3 weeks and a maximum of 3 months before your intended travel. You must lodge the application for a Schengen visa at the Consulate of the country that you intend to visit, or – if you intend to visit more than one Schengen State, the Consulate of the country which is the main destination of the stay (in terms of the length or purpose). If you intend to visit several Schengen States and the stays will be of equal length, you must apply at the Consulate of the country whose external borders you will cross first when entering the Schengen area. Click HERE for an FAQ document about Schengen visas. 1. WHERE TO SUBMIT YOUR VISA APPLICATION? Please see HERE for the full list of countries where Estonia is represented by another country’s Embassy for issuing Schengen Visas. If you are a non-Indian passport holder, and wish to visit only Estonia, you have to apply for the Schengen visa either at the Estonian Embassy of your home-country or at the Embassy of another Schengen member country representing Estonia in issuing Schengen visas. If the travel destination includes more than one Schengen member state, the application must be lodged at the representation of the main destination. The main destination is the country where you intend to spend the longest time or where the main purpose of the intended journey is carried out. If you wish to visit several Schengen member states and you are not sure of the state of main destination or plan to spend the equal number of days in each state, the visa must be applied for at the Embassy of the country of arrival into the Schengen area. 2. WHEN TO SUBMIT YOUR VISA APPLICATION? A visa application should in principle be submitted at least 15 working days before the intended visit and cannot be lodged earlier than three months before the start of the intended visit. Applications shall be decided on within 15 working days of the date of the lodging of an application which is admissible. Applicants are generally given an indicative date when to pick up their application. This period may be extended up to a maximum of 30 calendar days in individual cases, notably when further scrutiny of the application is needed. Exceptionally, when additional documentation is needed in specific cases, the period may be extended up to 60 calendar days. 3. WHAT DOCUMENTS DO I HAVE TO TAKE WITH ME WHEN I TRAVEL ON A SCHENGEN VISA? Mere possession of a Schengen visa does not confer an automatic right to enter the Schengen Area. At the external border, visa holders may be requested to produce documents justifying the purpose and conditions of their intended stay; that they have sufficient means of subsistence, both for the period of the intended stay and for the return to their country of origin or transit to a third state into which they are certain to be admitted, or are in a position to acquire such means lawfully. 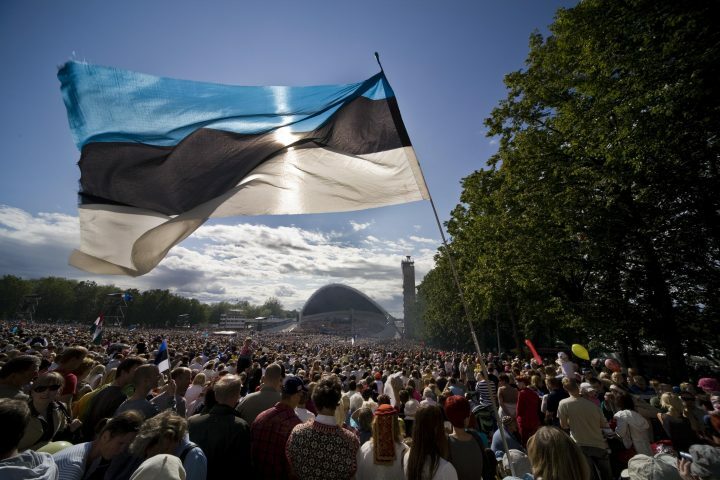 4. WHO DOES NOT NEED A VISA FOR VISITING ESTONIA? Nationals of the member states of the European Union (EU) and the European Economic Area (EEA) and any third-country national who is a holder of a Residence Permit of a Schengen country do not need a visa to enter Estonia. Furthermore, the holders of passports of certain countries do not need a visa to enter a Schengen region (including Estonia) for stays of no more than 90 days in a 6 month period. For a complete overview of who does not need a visa for visiting Estonia, click HERE.